Tube bundles are often used in heat exchangers and chemical reactors. Besides of large heat transfer capacities and small pressure drops in the apparatus a safe design against vibration damages is demanded. 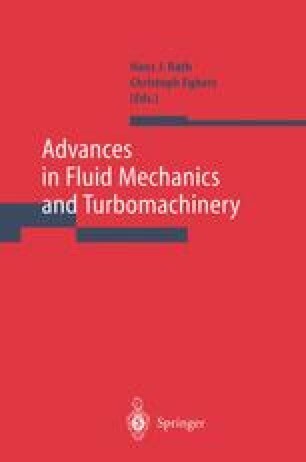 For many years extensive investigations concerning the dynamical behaviour of tube bundles subjected to cross-flow have been carried out in the wind tunnel of the Institute of Mechanics at the University of Hannover. In the last years the investigations were concentrated on the experimental investigations of different flow excitation mechanisms in a fully flexible bundle as well as in a bundle with one single flexibly mounted tube in an otherwise fixed array with variable geometry and changing equilibrium position. The aim of the studies was the determination of the stability boundaries, i. e. the critical reduced fluid velocity depending on the reduced damping coefficient in a wide parameter region. Theoretical investigations of the stability behaviour on the basis of an one dimensional flow model as well as experimental investigations of the influence of turbulence on the stability boundaries have been carried out. Here, for certain tube bundle configurations an increased turbulence has a stabilizing effect and leads to a shift of the stability boundaries to higher velocities. The change of the turbulence was realised by using turbulence grids at the inlet of the bundles or thin Prandtl-tripwires at the tube surfaces. Flow visualization studies at the original experimental set-up under relevant Reynolds numbers give an impression of the flow pattern. At this time an investigation of the exciting fluid forces is carried out using a flexibly mounted pressure test tube. A survey about some recent investigations is given.